Welcome to Cobb Beauty College, the premier cosmetology school of the southeast! We are excited to see that you have an interest in the colorful and fast-paced cosmetology industry. 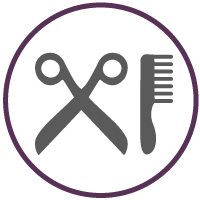 Our goal at our beauty school is to create and develop world-class cosmetologists while following the rules and guidelines set forth by our accrediting body, The Council on Occupational Education, and our licensing body, the Georgia State Board of Cosmetology. We do this by accepting students who are motivated, willing to learn and who strive for excellence. CBC was established as a private cosmetology school in 1980 and moved to its current location in the Kennesaw Historic District in 1987. The campus has changed much over the years, but we have maintained our dedication to using a hands-on-approach to cosmetology training that instills confidence in our students as they develop abilities and skills. 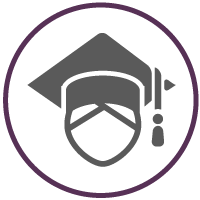 We do this by surrounding our students with top-tier instructors who offer high-level instruction supplemented by real world experience and application. Here at CBC, we offer two, unique cosmetology programs to fit the need of whatever type of career you would like to pursue in the cosmetology field. A program that offers a full breadth of knowledge in beauty treatment. A program for licensed cosmetologists to become educators in their field. Whichever program you decide to choose, we make it our business to make sure you are successful. To that end, we offer a full complement of career services that utilize our relations with dozens of salons in the area to make sure you get a great start to your career.